By the power of Grayskull! All your favorite Masters of the Universe characters are now collectible mini figures from the Loyal Subjects! Each figure stands approximately 3 inches tall. Figures have multiple points of articulation and include interchangeable accessories. Packaged in a blind box. Contains one (1) random mystery figure. There are 11 characters to collect. Collect them all! By the power of Grayskull! 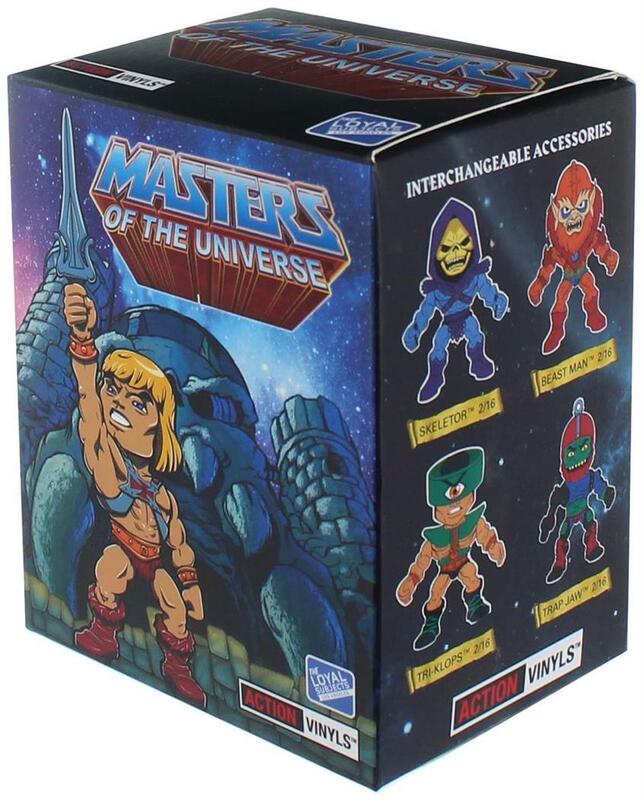 All your favorite Masters of the Universe characters are now collectible mini figures from the Loyal Subjects! Each figure stands approximately 3 inches tall. Figures have multiple points of articulation and include interchangeable accessories. Packaged in a blind box. Contains one (1) random mystery figure. There are 11 characters to collect. Collect them all!